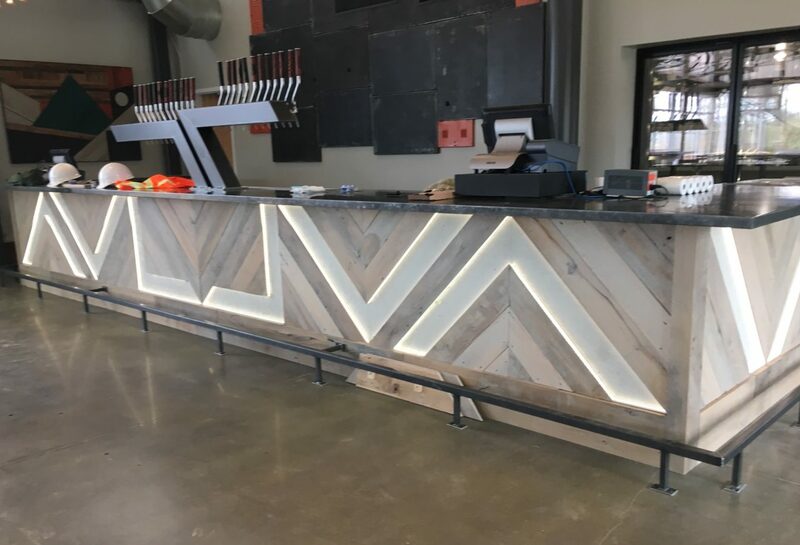 Reclaimed wood bar, with zinc top and LED lighting. 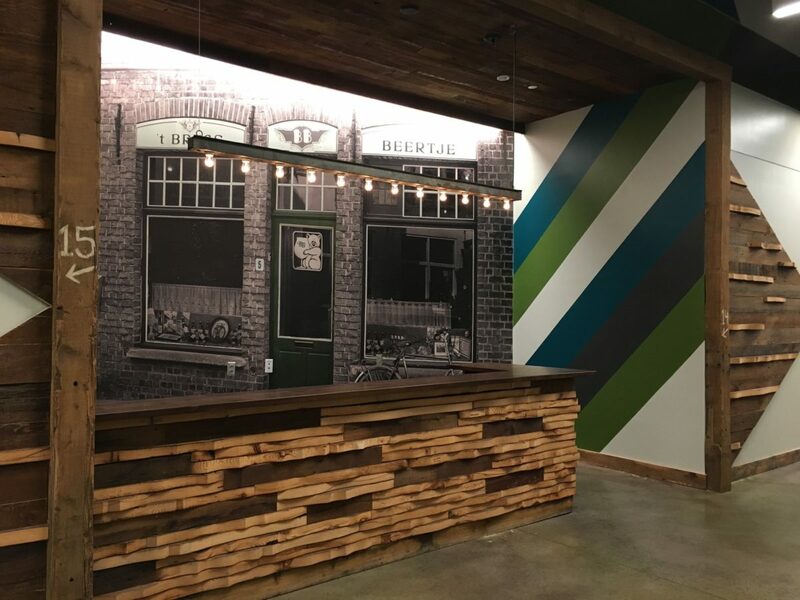 We helped create the New Belgium Brewery’s new taproom in Asheville. 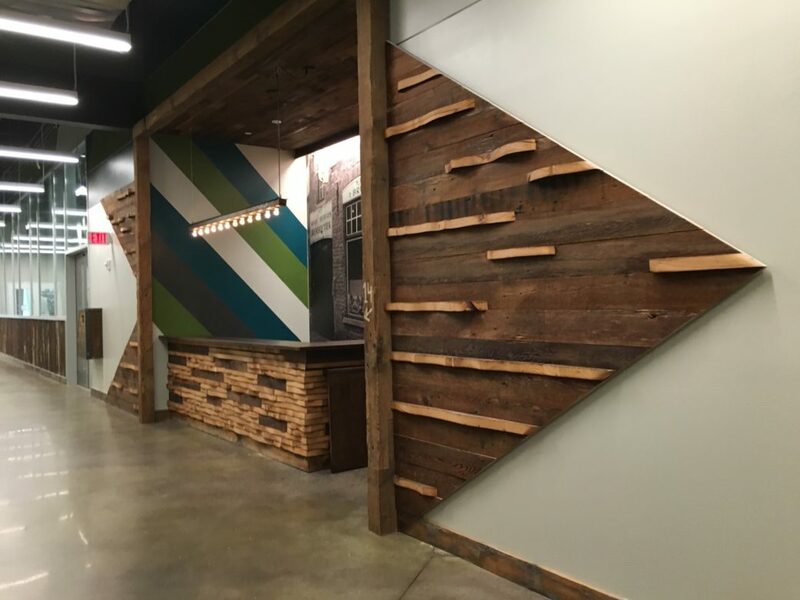 The brewery was built using a lot of reclaimed materials taken from the stockyard that was previously in that area. The bar is was a collaborative design effort with Architectural Woodcraft, the owners and Alchemy Design Studios. It has a zinc countertop, and cool LED lighting built into the outside that spells out “AVL”, and the wood is finished in a transparent white stain. 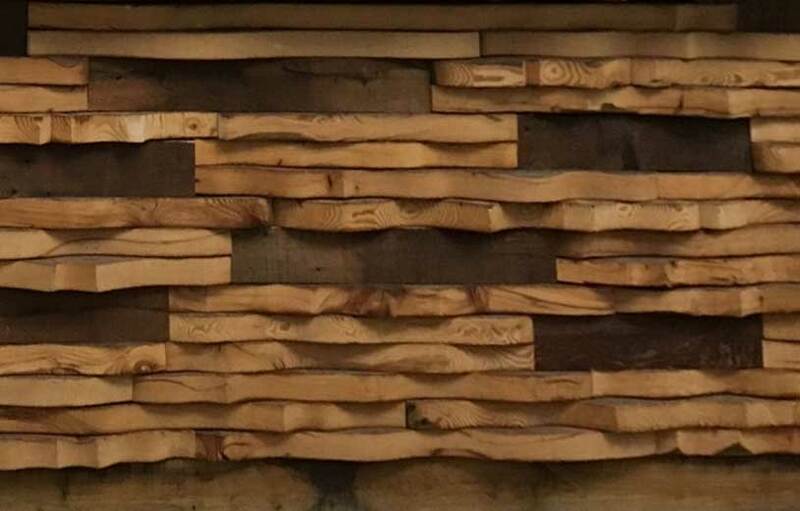 For the wall features, we came up with this wave design cut from reclaimed wood.